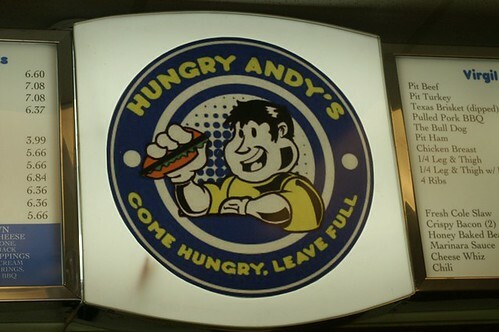 Hungry Andy’s | Eat It, Damn It! The Water Taxi about the Baltimore Inner Harbor makes a number of stops. A few blocks away from one of the stops lies Hungry Andy’s. At heart, they are more or less a deli. They have a wide variety of burgers and supposedly, they specialize in pit beef. However, this day, I wasn’t in the mood for beef and just wanted something simple. I got a Grilled Chicken Hero with lettuce, tomato, and honey mustard. It was great. A nice sized portion of white meat chicken breast was nestled inside a fresh submarine roll with plenty of vegetables and condiments lathered on top. It was great, I couldn’t ask for more. 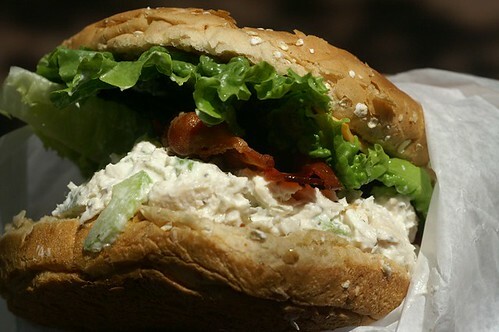 MG got the Chicken Salad on a wheat roll with bacon and cheese. The chicken was all white meat and diced fine. It was pretty tasty, not amazing, but pretty good. The roll was fresh, the chicken was plentiful, and the bacon was crisp. Success. Hungry Andy’s may not be a destination restaurant. I can’ really tell because I didn’t try their specialty. I can say without reservation that they are very worthwhile if you are in the area and need some lunch. 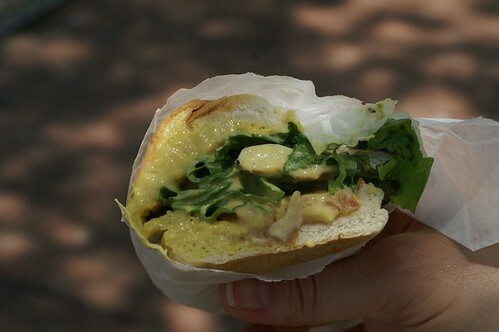 There is a little square nearby, so picking up a bite and then going to each lunch outdoors is highly recommended. 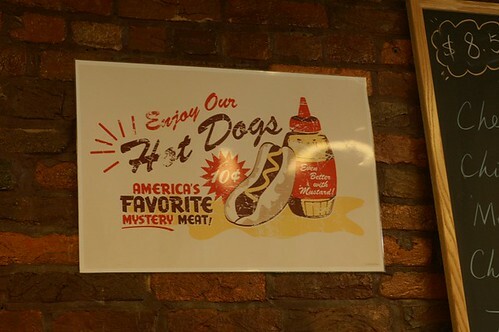 Plus, with humorous signs like the one above on the wall, how can you go wrong?